Can you tell the fans who you are? ***My Name is The Female Predator AMAZON!, SWF (Solent Wrestling Federation) Ladies Champion and one half of the PWF (Premier Wrestling Federation) tag team champions. the reason you want to be a pro wrestler? ***My first steps into the wrestling business were in 2007. I was 17 years old and I started training with former FWA star, ASHE in London, the training school was later taken over by British legend, and former FWA star Justin Richards in 2008. Later on in that year, I began training at WAW (World Association Of Wrestling) , under the tutelage of “Rowdy” Ricky Knight and Sweet Saraya, where I made my wrestling debut against Zak Zodiac and his sister Britani Knight, current FCW anti-diva, Paige. I've always wanted to be a professional wrestler since I was about five-ish (lol). I remember watching Shawn Michaels, Sensational Sherri, Chris Jericho, Lita and Chyna,when I was growing up and just thinking that’s what I want to do! ***I've been pretty lucky, when it comes to trainers, getting to learn from some of the most respected wrestlers in the business has been an honour, Justin Richards, Sweet Saraya and Ricky Knight, to name but a few. Thank you all. But the first couple of months with both the school in London and WAW were killer, I still to this day have nightmares about “Up-Downs” and “The Chair” anyone trained by either know exactly what I'm talking about. ***My first match….umm well (lol) I remember all of it and its very special to me, not only because it was my first time in the ring but also because of the trust that was put into me to have the match and the literal verbal-debating to have the match even take place. As I mentioned before my first pro match was with WAW but my first training match was in London and one person made it all possible, Thank you Justin Richards. ***Most people say the physical aspect is more challenging but I've found it takes a toll on you mentally. You need to be focused when it comes to this business and sometimes put up with and accept a lot even when you don’t agree with the situation. Let´s talk about your Gimmick as Female Predator Amazon,is there a story behind that? ***The Story is, I like to hit things….really hard! ***London INC is the hottest faction in British wrestling. 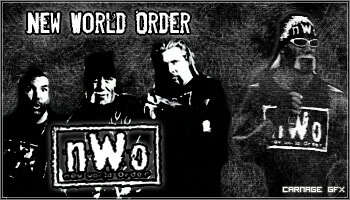 We were formed on Febuary 8th 2009, the group is lead by (C.E.O) Jet Logan, and is completed by (Vice C.E.O) "The Wrestlers' Wrestler" D.K.J. and (Head of security) "The Female Predator" AMAZON! 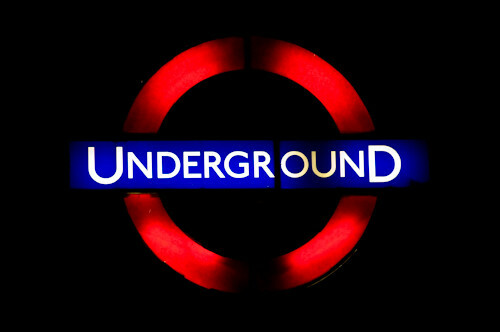 Our aim is to bring the London “Underground” to the surface. ** My first series of matches were with both Britani Knight (now FCW Anti-Diva Paige) and Sweet Saraya Knight so I can honestly say… I’ve never had an easy match *laugh*. But, my hardest match to date has been between myself and Rhia O’Rielly March 2012 WAWW Bellatrix for the no1 contender-ship of the British Ladies Championship, I haven’t had many matches with opponents who are both technically similar with me and nearly similar in size (still taller than you…..) and has also come from the same training background as me (Saraya Knight, Justin Richards, British technical-submission). Ms O’ Rielly is both my greatest rival and one of my inspirations over the years. We’ve gone hand in hand like the female versions of Lance Storm vs Chris Jericho without each other I don’t think we both would have survived but when we’re in the ring its MAGIC! ***I have a technical base but if you wanna fight I will. I like to say my style is a technical-submission style, with a monster edge. this industry all over the world? ***I wouldn't say good looks gets you far, its more about “the look”. I've always been told and thought that to advance to that level you need a look that's unique, something different to offer to make you stand out. contact you and why should they book you? ***Yep follow me on twitter @amazonayesharay or @thelondoninc on facebook/LondonINC or The Female Predator Amazon support the cause and back the “Underground” London. Amazon had some great matches and she should be work for the EVE title. Amazon had already a Match against Alpha Female at Pro Wrestling EVE. It was a hard hitting Match for the Title. You can see some of the footage on Part 2 "The British Wrestler"